1. This Circular guides the financial settlement of redundancy pays given to employees in the enterprise established and operated in patients as prescribed by law. 2. 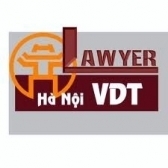 For the joint-venture enterprises established based on the Agreements signed between the Government of the Socialist Republic of Vietnam and another Government, if the provisions on redundancy pay in such agreements is inconsistent with this Circular, such Agreements shall apply. 1. The redundancy pay given to employees when the enterprise changes its structure or technology as prescribed in Clause 1 Article 17 of the Labor Code 1994, Article 11 of the Government’s Decree No. 39/2003/ND-CP dated April 18th 2003 detailing and guiding the implementation of a number of articles of the Labor Code applicable to employments. 2. The redundancy pay given to the employees that started to work on December 31st 2008 and earlier is calculated as guided in the Circular No. 39/2009/TT-BLDTBXH dated November 18th 2009 of the Ministry of Labor, War Invalids and Social Affairs, guiding the implementation of Article 12 of the Government’s Decree No. 39/2003/ND-CP dated April 18th 2003 detailing and guiding the implementation of a number of articles of the Labor Code applicable to employments. 3. When the Labor Code No. 10/2012/QH13 passed by the 8th National Assembly of the Socialist Republic of Vietnam in the 3rd session on June 18th 2012 takes effect, and the documents stated above are superseded, the redundancy pay is calculated as guided in the new documents. 1. When the expense on redundancy pay arises, the enterprise may include the redundancy pay given to employees as prescribed in this Circular to the enterprise management cost, and may deduct it when calculating the income subject to enterprise income tax.